Back to school is coming soon. 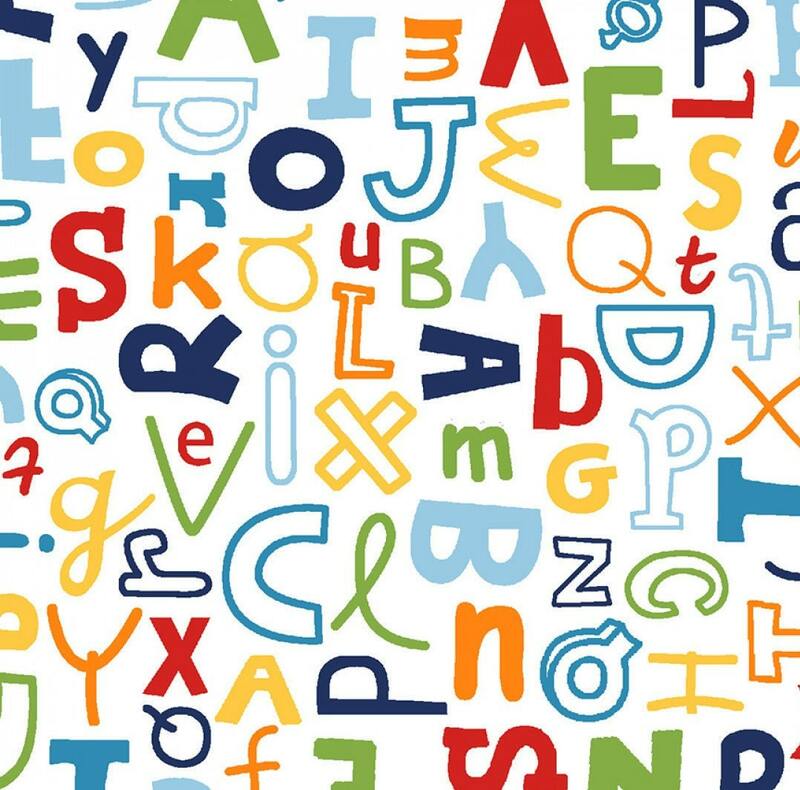 Make your little people happy to embark on another new school year, or may it is their first. 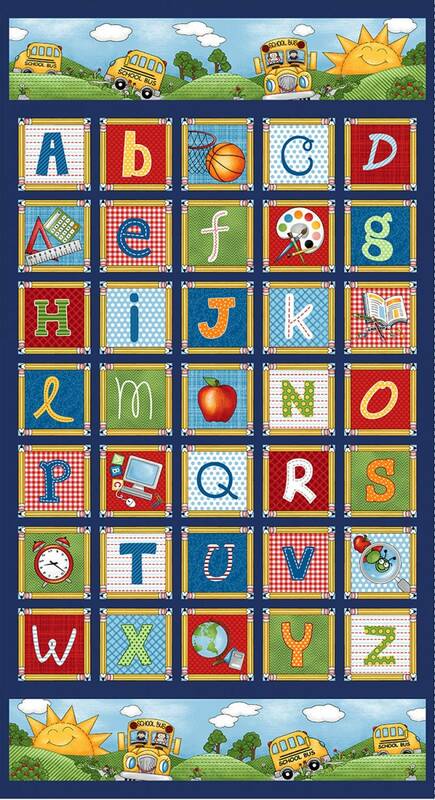 Create a wonderful quilt using this fun alphabet fabric and add our coordinating fabric panel. 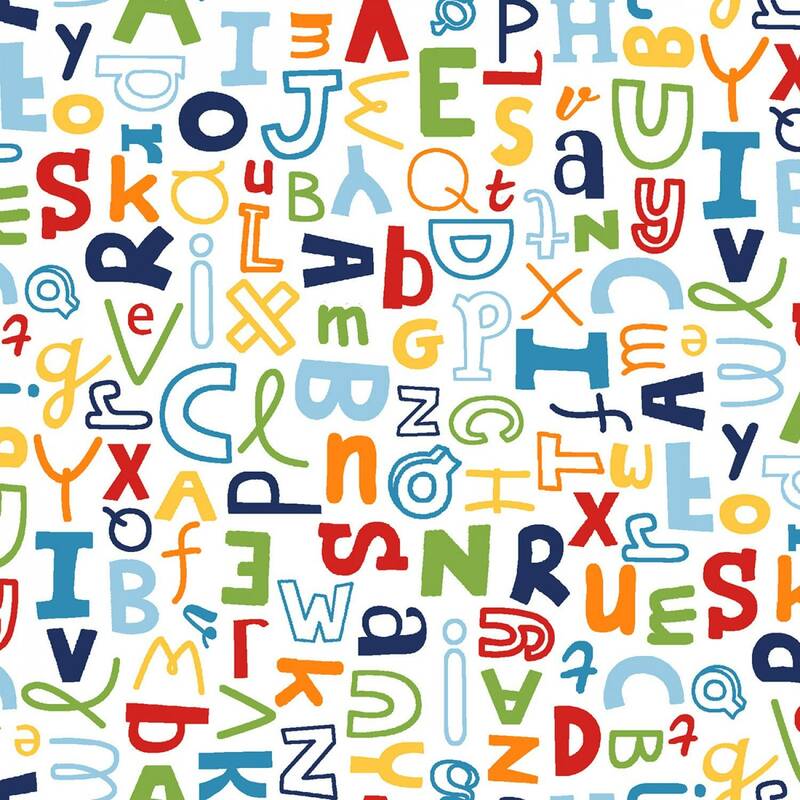 A crisp white background with primary color alphabet in quality 100% cotton. Start yours today and have it ready for the start of a new school year! All fabric from The Quilted Nursery is cut directly from the bolt in continuous yardage. We now offer fractional yardage cuts for your shopping, quilting and crafting convenience. Same day shipping except for Sunday and holidays. Shipping overages refunded on shipment of purchase! Just what I was hoping for! As described and super fast delivery! Thanks! Great choice for the backing on my kids quilt. Good quality fabric with bright colors. Order was processed quickly and I received it within a few days.